Good question! Thereby hangs a tale: Because of research into mSATA SSDs about three years ago, I have half-a-dozen Samsung EVO 840 256 GB SSDs hanging around my hardware collection. 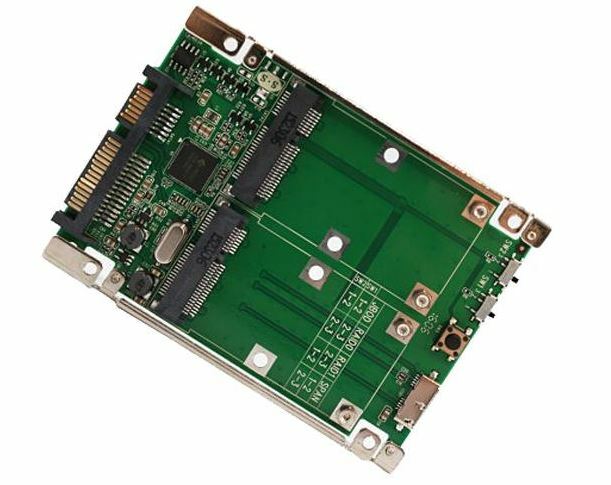 In finding tools to put these drives to work, I’ve purchased a couple of Syba SD-ADA40107 2.5″ SATA 6G/USB 3.0 to Dual mSATA RAID Adapters ($26 from Newegg). Basically, these devices let you drop in a pair of mSATA SSDs and use them as a RAID 0 or RAID 1 array, or as JBOD (just a bunch of disks). Pop a couple of mSATA SSDs into this card, and plug it in using SATA, and you’ve got a fast and capable 2X capacity RAID0 hard disk (500 GB my case). My “shot to the foot” came from confusing my primary data drive (!) with my experimental drive. And alas, I ended up wiping the partitions on the data drive thinking I was working on the other drive. Ouch! I found a three-month-old backup that I was able to use to restore about 90% of the contents of the original drive, but I couldn’t find copies of the other 10%, some of which was important stuff I didn’t want to lose. Thus, if ever I was faced with a need for data recovery, this was it. That’s when I learned that the free version of MiniTool Power Data Recovery comes with a 1 GB data recovery limit. I needed to restore about 21 GB of data, so there was nothing to do except pony up the $69 fee for a personal license. The expenditure proved worth every penny, because the tool’s “Lost Partition Recovery” facility resuscitated about 99% of the data on the affected drive. Recovery coverage depends on how much data has been overwritten onto new partitions in finding and saving files and folders from previous “lost” partitions. In my case I was luck enough to recognize my mistake quickly, and did no writing to the drive other than what occurred when setting up the partitions and writing the entries necessary to set up NTFS on the volume. The process was fairly slow, because over 210 GB worth of files were recovered. It ended up taking 2.7 hours to complete, on a fairly fast PC (i7 4770K on a Z97 chipset motherboard), but that’s probably because I had the drive plugged into a USB 3.0 drive caddy rather than a 6 Gbps SATA port. But MiniTool Power Data Recovery proved equal to the task, and paid for itself, IMHO, on its first use.